When it comes to academic achievement, Asian-Americans outclass every other ethnic group, with more than half over age 25 holding a bachelor’s degree—well above the national average of 28%. To find what gives Asian-Americans a leg up, a team of sociologists scoured two long-term surveys covering more than 5000 U.S. Asian and white students. After crunching test scores, GPAs, teacher evaluations, and social factors such as immigration status, the team reports a simple explanation online today in the Proceedings of the National Academy of Sciences: Asian-American students work harder. I’m trying to work through something which has been bugging me – gender deficit theories (i.e. the idea that male/female attitudes or behaviors are based on a lack of something). It’s hard to know how much to adopt defecit models when talking about gaming and questions of who plays what. There’s lots of literature in this post, but I’ve tried to use hyperlinks to non-paywalled sources where-ever possible. I’ll get into two main types of gendered deficit models I’ve seen, in relation to games, after a little bit of personal context. We may be reading quite a few news reports these days about Facebook and Twitter facing a plateau in usage … but LinkedIn’s fortunes continue to be on the upswing (financial losses notwithstanding). In late April, the social network reported that it now has more than 300 million active members throughout the world, which is up more than 35% since the beginning of the year. Too, the gender gap in membership is narrowing, albeit more slowly: Today, ~44% of LinkedIn members are women, up from ~39% in 2009. Even more impressive for a network that has the lofty goal of “creating economic opportunity for every one of the 3.3 billion people in the global workforce,” is the fact that two-thirds of LinkedIn’s active members are located outside the United States. Neil deGrasse Tyson – scientist, astrophysicist, author, science communicator and host of the television series “Cosmos: A SpaceTime Odyssey” (2014) – known for defending climate science and the science of evolution, in a video recently posted on YouTube takes a strong stand on another hot-button scientific topic: Genetically modified foods and organisms. Neil deGrasse Tyson answers a question posed in French about “des plantes transgenetiques” — responding with one of his characteristic, slowly-building rants. Rory Sutherland says that the circumstances of our lives may matter less than how we see them, making a compelling case for how perspective and reframing are the key to happiness, success, and all the chapters/steps of life at TEDxAthens (2011). Things as simple as context change our perception and our view, even without noticing it. Should Handheld Devices be Banned for Young Children? On March of 2014, The Huffington Post posted the article “10 Reasons Why Handheld Devices Should be Banned for Children Under the Age of 12”. Is your Smartphone a Social Friend…or Foe? Delayed Social Development Cost of Texting? Megan Egbert – a librarian, blogger and mom – answered the article with “10 Reasons Why I Will Continue Giving My Children Handheld Devices, and all other forms of technology as well“. My personal opinion is that we need to be smart and have a critical posture about how (future) kids use technology, gadgets, social media and connect to the World Wide Web in general, since it was and has been continuously scientifically and psychologically proven that the new technology paradigm is affecting some manual, social and language skills. Recent reports and studies show that nowadays young children and teens have less and less hobbies and extracurricular activities, preferring instead to “stay online”, consequently not getting enough exercise, outside activities, etc., some are even using tech to bully, exploit themselves, post horrible things anonymously, etc., a new kind of social interaction and social/digital (inter)relation on digital communities/groups that require further analysis and practical investigations. 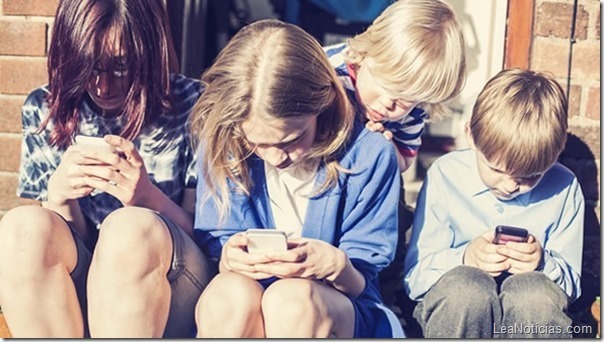 Nevertheless, parents and care takers need to stay vigilant about how their kids and young children use tech, new gadgets and get connected to the World Wide Web. As my fifth original post on my WordPress I’m going to share a very interesting article posted today on Lifehacker which I’ve read and identified with, not only on regarding my education basis, but can be also applied on many other fields and life personal experiences. The article is very insightful and interesting, discussing how if “you’re headed to grad school, the game changes”, and it really does, having a “reputation for being the most difficult time in a student’s life”, coming after a “long undergrad career, bringing empty pockets, longer classes, and teaching requirements to students—on top of the stress of independent studies or a thesis”, besides being an “eye-opening and fulfilling part of your academic career” and “opening doors you’ll appreciate for the rest of your life”. I also suggest that you watch this open-minded and in the spirit of ideas worth spreading TEDx Talk (at Almada, Portugal, September 26th, 2012), combining to spark deep discussion and connection in a small group, from Fernando Santana – Catedratic Professor at Universidade Nova de Lisboa, and currently Director of the School of Science and Technology – discussing objectively about why do you take an university/college course, sharing many conclusions of case studies and personal/professional experiences. The author of this Lifehacker’s post, Alan Henry, speaks and discusses very openly and with great precision about a couple of things what he and others from Lifehacker’s team “learned from our graduate schooling that you can take with you going in”. «When you’re an undergrad, your intelligence is highly valued. In graduate school, and truthfully, anywhere after that, intelligence is important, but it doesn’t pay the bills. «(…) make sure you take the time to meet people, spent time with different people, and, for lack of a better word, “network” with as many people as possible. You will tap into them at some point for postgraduate projects, and they’ll do the same with you. «Depending on your personal situation, that can be true. Even if it’s not and you can afford to feed yourself without resorting to ramen noodles and frozen vegetables, sometimes it’s better if you embrace that stereotype anyway. «Unlike undergraduate schooling, which focuses on giving you a broad education on your major, in grad school you’ll expand on what you learned and drill down into specific topics. Don’t coast and just flow with the curriculum—take the time to find parts of your studies that really interest you. Ideally, this is how you’ll uncover your future career. Don’t expect to “get” anything when you graduate: Most liberal arts programs are about teaching you how to learn and how to think. A graduate program’s no different—and if you walk in expecting to finish some grandiose project or have a sense of completion, you’ll be disappointed. Instead, you’ll walk away being more confused about the world than when you started, BUT you’ll at least be able to explain your way through it a little better. To that point, I’d argue that when you’re picking out a school, atmosphere and culture-fit is WAY more important in grad school than in an undergrad program. Your general view of the world, and how you think about it will be tainted by the grad program you choose, so pick one that you think is relevant and interesting. Thanks again for reading and for following, I hope you’ve liked it and found it interesting. As my forth original post on my WordPress I’m going to share a video of a TED Talk that I’ve watched recently. This video is a TED Talk presentation made by MIT Media Lab founder, Nicholas Negroponte, a true tech visionary – pushed the edge of the information revolution as an inventor, thinker and angel investor -, [MIT Media Lab] which helped drive the multimedia revolution and presently houses more than 500 researchers and staff across a broad range of disciplines. «I think the challenge is to connect the last billion people, and connecting the last billion is very different than connecting the next billion, and the reason it’s different is that the next billion are sort of low-hanging fruit, but the last billion are rural. Being rural and being poor are very different. Poverty tends to be created by our society, and the people in that community are not poor in the same way at all. They may be primitive, but the way to approach it and to connect them, the history of One Laptop per Child, and the experiment in Ethiopia, lead me to believe that we can in fact do this in a very short period of time. The ending of the Talk, with the “last prediction” is also brilliant, scary, visionary and very possible in 20 to 30 years, with the technology advances we’ve seen just on the last century, changing and innovating the tech paradigm, year after year. «(…) one of the things about learning how to read, we have been doing a lot of consuming of information going through our eyes, and so that may be a very inefficient channel. So my prediction is that we are going to ingest information You’re going to swallow a pill and know English. You’re going to swallow a pill and know Shakespeare. And the way to do it is through the bloodstream. So once it’s in your bloodstream, it basically goes through it and gets into the brain, and when it knows that it’s in the brain in the different pieces, it deposits it in the right places. So it’s ingesting. I always assumed that when people got older, they at some point starting feeling like their age. Now that I’m 40, on the verge of turning 41, I still feel like an immature 22-year-old who likes cartoons and laughs at fart jokes. If I do live to be 70, I still won’t consider myself old, in the same manner in which I don’t currently consider myself middle-aged. I’ve vowed to continue driving fast, never to hold up lines in the grocery store and to refrain from complaining about the thermostat.